More Good Food Gone Wasted! This may be the time to get out that DVD of To Catch A Thief that you haven’t watched yet, because there is an instance of profound thespic dishonesty that needs to be exposed and brought to the harsh light of day. 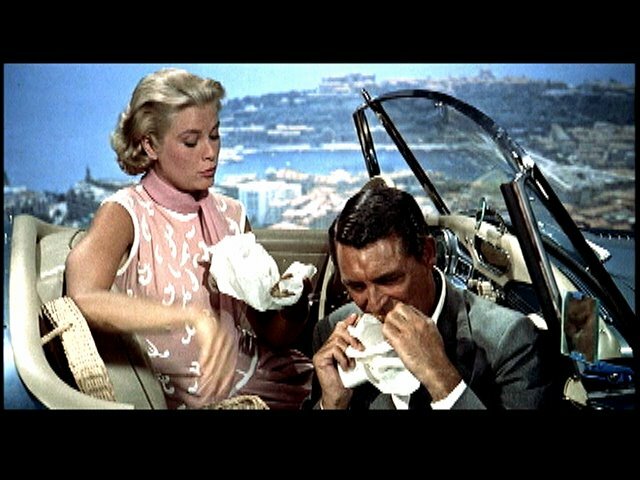 It involves the devilishly handsome cinematic sacred cow Cary Grant, who we all know can do no wrong on the screen, but friends, this man is no more eating chicken during that roadside picnic scene than I’ve flown to Venus on a pig’s back. You know the sequence I’m talking about --- he and Grace Kelly are rooting through a basket of goodies whilst engaged in sparkling double-entendre dialogue. 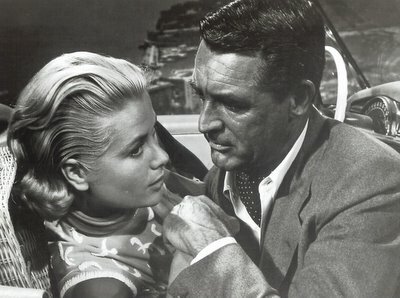 Now you watch closely how Cary fakes it with that chicken leg. First she asks him if he wants a leg or a breast. Alright, let’s not go through that again. Just write John Michael Hayes and tell him how scintillating his dialogue is, and let it go with that. Don’t distract us with it. We are here to talk about the chicken leg. So Cary takes it, right? And he puts in his mouth, way into his mouth, like he’s Joe E. Brown! But then after what appears to be a robust bite, he takes it out of his mouth, and guess what? It’s pretty much all there. The man isn’t really eating it at all! Instead, he’s being debonair, and she’s being seductive, and I’m waiting for him to make one honest gesture with that bird. But he never does. Instead, Cary takes a few more phony nibbles, then sprinkles salt on it! Now honesty, does anyone put salt on fried chicken? Maybe they do, and I’ve spent my whole life doing it wrong, but I’ll tell you this, the next time I have fried chicken, I’m still not going to put salt on it. I gag upon the notion of such a thing. What I will do, however, is skin a KFC bird leg in about four seconds flat if you give me one, then ask for more, and I wouldn’t care if Grace Kelly were in the car with me. A person’s got to eat. Came across your site as a result of a recommendation from the DVDBeaver group. Love your wide-ranging eclecticism and you certainly have a great store of high-res film pics, which will liven up my desktop for months on end. I'll visit often.